Have you noticed that there are Christmas decorations for sale already in a lot of stores? I started seeing them at the tail end of August! That's just too early. I love Christmas, but I need time to enjoy fall, Halloween and Thanksgiving first! I mean, sure, I start celebrating Halloween on September 1st, but I can't be looking at light-up inflatable Santa Claus decorations while it's still 80 degrees out. But one thing I won't complain about showing up so early is holiday makeup collections. 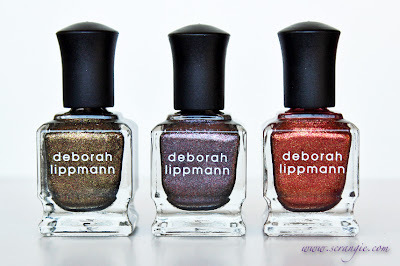 Like this, for example: a trio of sparkly, foily Deborah Lippmann nail polishes intended for winter, but currently adorning my nails on this beautiful, chilly week in early October. 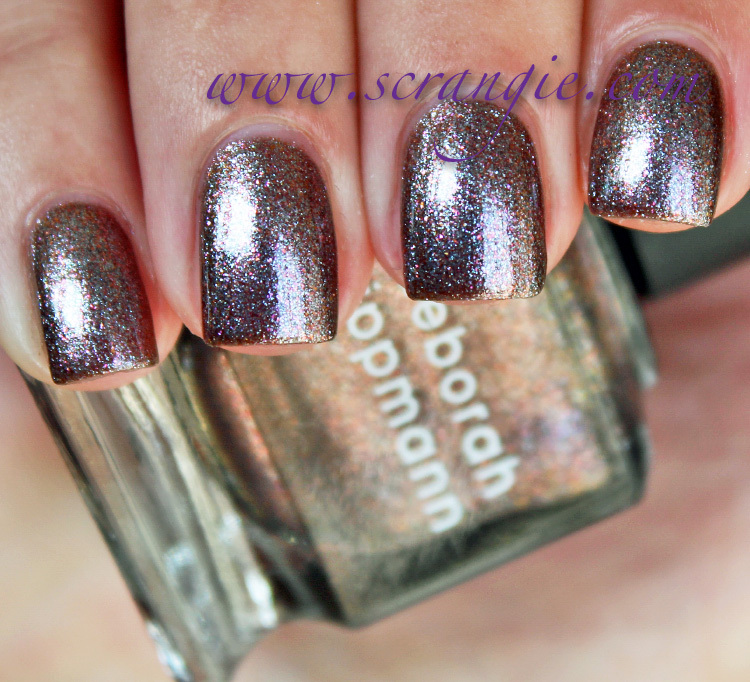 Deborah Lippmann Chain Reaction. This is a golden olive multicolored glass fleck shimmer. It looks more gold at some angles and more greyish-green at others. There's little sparks of purple that are slightly larger than the gold and green particles, and there's also a tiny bit of red-orange shimmer as well. Seems like it could be a much less duochromey cousin to Nicole For Gold Times Sake. Deborah Lippmann Moon Dance. This one is another multicolored glass fleck shimmer, but with grey and purple tones. Moon Dance has the most colors in it, looking mainly grey-purple at some angles, but murky, dirty, warm grey at others and with flashes of red, orange, silver, blue, green and gold. It has a very speckled, granite-like effect. 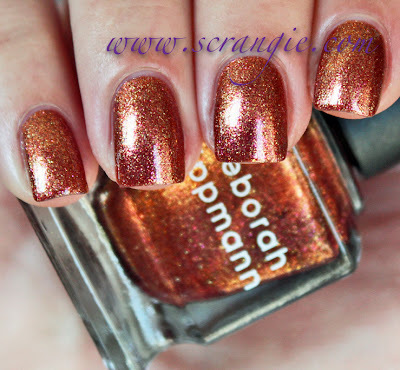 Deborah Lippmann Phoenix Rising. An orange, red, and gold-colored multicolor glass fleck shimmer. It appears more red in the bottle but more orange and gold on the nail. It's also lighter on the nail than it is in the bottle and in the promo pictures. It has a bit of brown to it and big, shiny flakes of light gold foil. 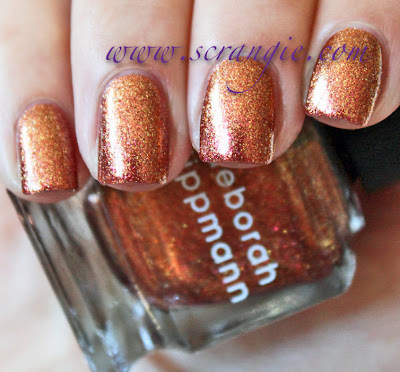 Similar to Jessica Pumpkin Delight. The formula on all three was good. Thin, easy to control. They're a little more sheer than I expected them to be, but three coats gives complete coverage. I found that they all needed at least three coats for intensity, as the colors builds more and more with each coat. Moon Dance looked best at four coats. Dry time is average and they look best with a thick, shiny topcoat to enhance the sparkly finish and remove the somewhat textured/dull/ look they have once they dry. Overall, cool set. 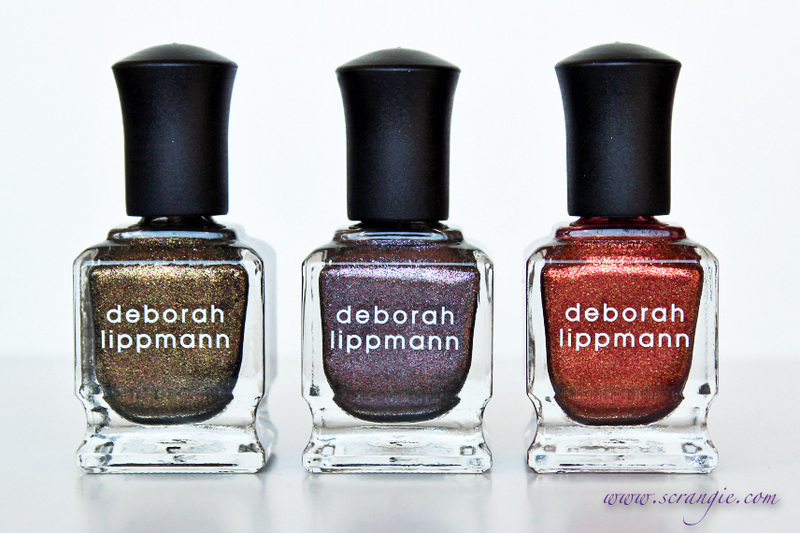 I like the speckled, multicolored look that all of these have, and they all sparkle like foils in the sunlight. 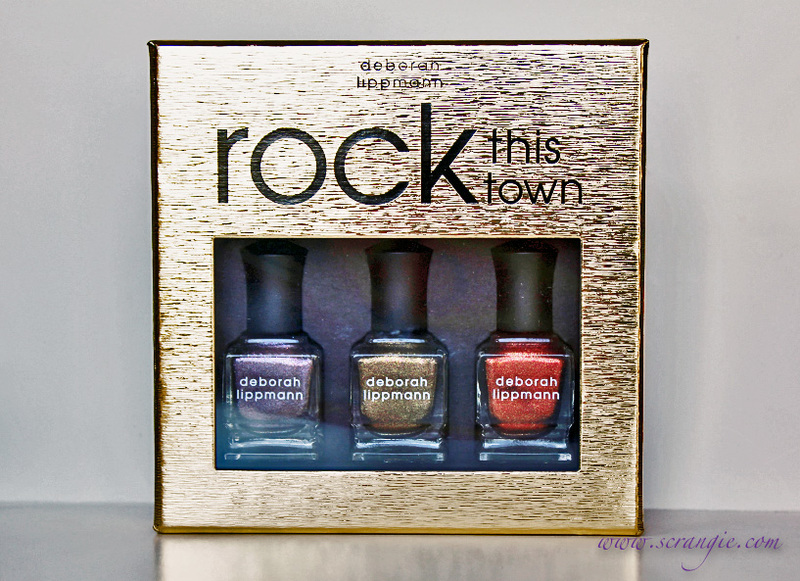 I also like how it comes in a collectable metallic gold box, which makes this set especially nice for gift-giving. 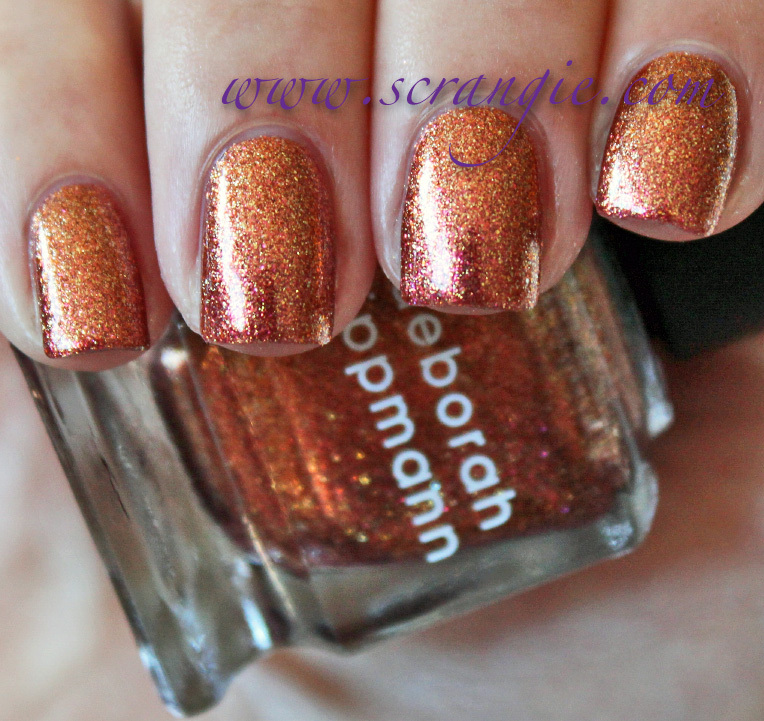 I wish the colors were more intense and saturated, but the finish and multicolor shimmer are really stunning. 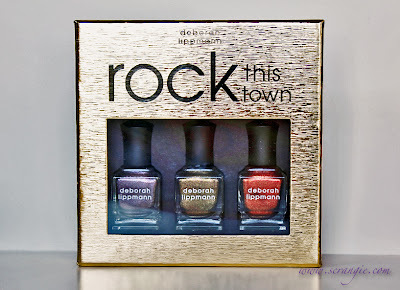 The Deborah Lippmann Rock This Town Trio is limited edition and retails for $42. It's currently available and in stock at Nordstrom, which is where I got mine. lovely! "moon dance" reminds me of rbl's "locavore"...loving the sparkle. I really like Moon Dance!! The first two are gorgeous, especially Moon Dance! "Chain Reaction" looks like it might be a dupe (or dupe-ey) for Gosh "Galaxy" - actually, maybe is the next big trend in polishes? This multi-coloured flecky metallic finish thing? Haha, words fail me today. Chain reaction is too pretty! It looks like you layered it over black! Absolutely love it! These are very pretty! The finish reminds me of NOPI For Gold Times Sake & Just Busta Mauve. Exactly. I <3 Nicole (& the bottle! ), so i'll just stick with getting those. The last one isn't really my type of color anyways. Wow! Gorgeous! Reminds me of some of the Nicole by OPI shades. I really love these! I was thinking the same thing! Moon Dance looks just like Just Busta Mauve. I like Phoenix Rising but the others don't blow my skirts up too much! I love all three shades!!!!!!!!!!!! I love them all but Chain Reaction is my favourite! Woooow the colours are amazing!! 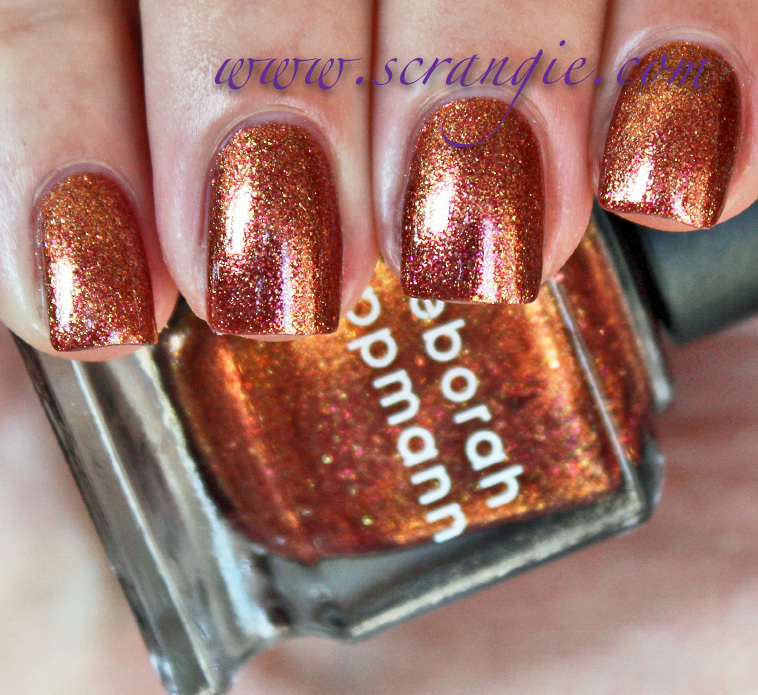 You always have the most amazing swatches. And I always know that they are accurate and you will give a good review. Thank you! They are gorgeous! Especially Chain Reaction!